Welcome to this week’s edition of our favourite things from misty and foggy Gloucestershire. With the weather like this, we’ve enjoyed curling up with a cuppa and a lot of knitting. So #Socktober has come to an end, and team Cable Girls managed twelve completed socks and two partial socks! We’re very pleased – Sheila tried new heels on three pairs of socks, Hannah met her goal and Kate managed to finish one pair and a prototype of a new pattern, plus starting a new pair and getting to the leg of the second Kalajoki sock. We also knitted a cardigan (Sheila) a hat and a sleeve (Kate) – because we couldn’t just knit socks with Christmas around the corner! We’ve been organising our stashes, adding to them (ahem) and passing some on between us when needed for projects. Festive knits are well underway – did you see our tweet with our first red Starbucks cup of the year earlier this week? 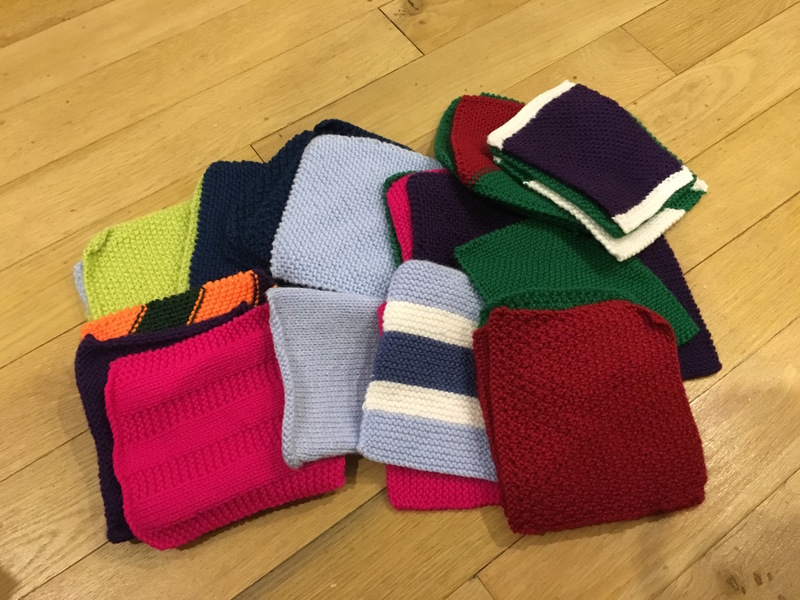 We will announce our next charity knitting project in early 2016 – our goal is to always have a project to benefit the community underway, to give back to our local area and good causes. An amazing shawl over at A Friend to Knit With – the yoga shawl is now in at least one of our Ravelry queues! And this was our favourite Pin of the week – it caused serious stash and interior design envy! a fabulous round up, thanks so much for including me, I’m honoured! Off to read that article about the British wool trade, looks fascinating… and checking out the other links, of course! Thanks Julie- glad you liked it!